He didn’t stop there. “Look,” Biden said. “I spend between, depending on the season, four to seven hours a day every single day with the president.” He added that he and Obama were “sympatico”, “didn’t disagree on a single substantive issue” and that “my grandchildren and his children are each other’s best friends now, they vacation together”. "Commentators across the spectrum, liberal and conservative alike, have praised Clinton’s performance in the first Democratic primary debate, a marked contrast with the skepticism and hostility she previously faced from pundits and the media. And with good reason: The candidate who has been consistently on the defensive since launching her campaign in April was poised, prepared, personable, and energetic. Now, Clinton’s campaign hopes Tuesday will prove to be more than just one good night. If all goes well, they say, it could be the turning point that sets her on a smooth path to the Democratic nomination." Hillary Clinton crushed it! There is no other way for me to put it. Her performance Tuesday night at the first Democratic debate was so spectacular as to erase all doubt: Weakened as she may be, there is still fire in that belly, and she will not quietly shift to the side to make room for someone else — not Bernie Sanders, and not Joe Biden should he ever stop this annoying dillydallying and decide to run. And I don’t consider her performance spectacular simply because of what she did — although she demonstrated a remarkable assuredness and dexterity — but also because of what the others didn’t do. Ted Cruz, sleeper candidate? The much-derided GOP senator is banking on picking up Trump, Carson and Fiorina supporters when those candidates leave the presidential race. "A former investigator for the Republicans on the House Select Committee on Benghazi plans to file a complaint in federal court next month alleging that he was fired unlawfully in part because his superiors opposed his efforts to conduct a comprehensive investigation into the 2012 attack on the American diplomatic mission in the Libyan city. Instead, they focused primarily on the role of the State Department and former Secretary of State Hillary Rodham Clinton, he said. The former investigator, Bradley F. Podliska, a major in the Air Force Reserve who is on active duty in Germany, also claims that the committee’s majority staff retaliated against him for taking leave for several weeks to go on active duty. If true, the retaliation would violate the federal Uniformed Services Employment and Reemployment Rights Act of 1994, which Major Podliska plans to invoke in his complaint, according to a draft that was made available to The New York Times." Fmr. Newtown teacher responds to Ben Carson In her book 'Choosing Hope,' fmr. Sandy Hook Elementary School teacher Kaitlin Roig-DeBellis describes how she hid her first graders in a bathroom during the Newtown school shooting. She also joins Ari Melber reacting to Ben Carson's comments on arming teachers. Ben Carson: Founding Fathers wouldn't have trusted a Muslim president - He never read the Treaty of Tripoli 1796. What an idiot! Guess Carson never read the Treaty of Peace and Friendship, Signed at Tripoli November 4, 1796. "ARTICLE 11. - As the government of the United States of America is not in any sense founded on the Christian Religion,-as it has in itself no character of enmity against the laws, religion or tranquility of Musselmen,-and as the said States never have entered into any war or act of hostility against any Mehomitan nation, it is declared by the parties that no pretext arising from religious opinions shall ever produce an interruption of the harmony existing between the two countries." "Jewish groups and Holocaust scholars say Ben Carson’s claims that Nazi gun control laws contributed to the Holocaust are offensive and inaccurate, but Carson is not backing down. "The News Corp chief has been tweeting for some time about the retired neurosurgeon, but on Wednesday he took it a step further. "Ben and Candy Carson terrific. What about a real black president who can properly address the racial divide? And much else," Murdoch tweeted, referring to Carson's wife Candy. "Read New York magazine for minority community disappointment with POTUS," he continued, referring to an article in the magazine which asks whether President Barack Obama has done enough for the black community." "Politico has posted a fifty-one-second compilation video of what it calls “unfortunate comments” by Jeb Bush—“stuff happens,” “free stuff,” “anchor babies,” “I’m not sure we need to spend half a billion dollars for women’s-health issues,” and so on. The implication is that it’s a mystery why a sixty-two-year-old third-generation politician, the grandson of a senator and the son and brother of Presidents (his own son George P. Bush, an office-holder in Texas, is fourth-generation), would be capable of making stupid mistakes in a campaign that he has to have been thinking about for decades. "His central claim—that the second law of thermodynamics rules out order forming in the universe after the Big Bang—is a frequent misstatement made by creationists who want to appear scientifically literate. In reality, it is completely false. Local order in parts of the universe is always possible at the expense of heat and disorder dissipated to the external environment. The human body is one example: we take in energy from our environment to build up complex molecules that help power our bodies, and, in doing so, we release heat to the world around us. A snowflake is another beautifully ordered example of what simple natural meteorological processes can produce. Stars form by gravity, collapsing into spherically ordered structures that can remain in this form only if they release tremendous heat energy into the environment. Carson elides these physical realities by creating a straw man: he says that scientists believe that, after the Big Bang, the universe was “perfectly ordered.” But no such claim has been made by scientists; instead, we describe how local order, including galaxies, stars, planets, and life, developed over time." James Alan Fox, a criminologist, is correct in saying, “We can’t round up all the people who scare us.” But we can do a lot more to sever the link between them and easy access to guns. All this information and more was submitted to law enforcement and a county judge (I was also interviewed). They could decline my application if the information suggested that I was troubled. Too bad most states don’t conduct real background checks. The writer, a professor of political science at SUNY Cortland, is the author of five books on gun policy." "Two things are known for certain about the deadly American airstrike on the hospital in Kunduz, Afghanistan, run by Doctors Without Borders. One is that the attack killed 22 people, including 12 staff members. The other is that an initial Pentagon statement saying the strike may have caused “collateral damage” was outrageous and dehumanizing. Beyond that, there are many unanswered questions and much confusion about how the hospital, a major health care facility in Afghanistan’s northeastern region, came to be a target. Gen. John Campbell, who commands American and NATO forces in Afghanistan, acknowledged at a news conference on Monday that the airstrike by an American gunship on Saturday had “accidentally struck” civilians and promised a thorough investigation. That is not sufficient. In addition, an independent panel should quickly be empowered to obtain all the information needed to produce a credible conclusion about what went so horribly wrong." "Conservatism as a political and social philosophy promotes retaining traditional social institutions in the context of culture and civilization. Some conservatives seek to preserve things as they are, emphasizing stability and continuity, while others, called reactionaries, oppose modernism and seek a return to "the way things were." Wikipedia's definition of conservatism is a bit simplistic, but it's good enough for government work: conservatives generally want to keep things as they are, and reactionaries want to return things to the way they used to be. In neither case is moving forward considered to be a good thing. It's the liberals who are always talking about hope and change and leaving the bad old days behind. The tension between the two worldviews has always been present in American life. In recent times America's conservative movement has been defined by its strong religiosity and high esteem for institutions like the military and police, while liberalism pushes toward modernity and social evolution. The push and pull between those two philosophical poles has been a feature of American culture at least since Alexis de Tocqueville made his anthropological field trip back in the 1830s." Within the tech industry it is argued that Fiorina was fired from HP in 2005 "because she did her job poorly" especially since her high profile moves, such as the merger with Compaq, ended badly for HP. But Levy tells a tale that encapsulates her stunning failures at HP even greater. In January of 2004, Fiorina proudly announced her showstopper at CES - the flagship event for consumer electronics. That showstopper? The baby blue HP iPod. I can almost hear the reader question "The baby blue HP iPod?". Yes, the baby blue HP iPod. Fiorina had sealed a deal with the Steve Jobs-led Apple for HP to sell HP branded iPods. Now, you may wonder, why on earth would a company whose motto was "Invent!" be excited about rebranding another company's product? Well, for one, up to that point Apple had not had much success getting the 3 year old iPods into retail stores - Apple mainly sold iPods online and at Apple stores. So Fiorina thought she had her big break, she could rebrand another company's product and sell it at your neighborhood Big Boxmart store. In exchange, Apple got HP to ship all their PCs with the iTunes store pre-installed. This was pretty significant for Apple, as HP had a large market share in PCs, and the move allowed Apple to grow its iTunes store business. In return, HP got the right to sell iPods. But not in a way that could possibly succeed. Fiorina boasted to me that she would be able to sell the devices in thousands of retail outlets; up to that point Apple mostly sold them online and in its own stores. But by the time in mid-2004 that HP actually began selling its branded iPods, Apple was expanding to multiple retail outlets on its own. And soon after HP began selling iPods, Apple came out with new, improved iPods — leaving HP to sell an obsolete device. Fiorina apparently did not secure the right to sell the most current iPods in a timely fashion, and was able to deliver newer models only months after the Apple versions were widely available. The HP iPod never made up more than 5% of total iPod sales. 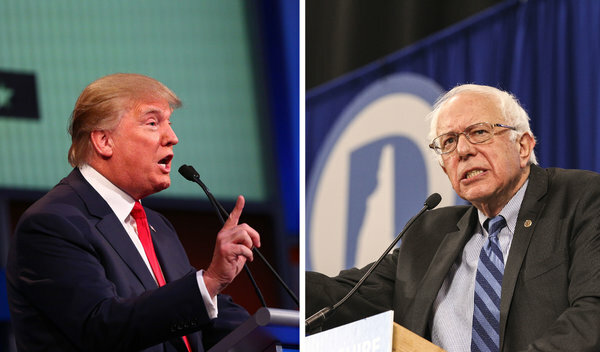 THEIR partisans may be loath to admit it, but Bernie Sanders and Donald Trump do in fact share some common ground. There is of course their upstart, outsider image. Then they share a posture of forthrightness and candor. A third similarity is how they talk. Not what they say, but how they sound: Like they’re from New York. Other politicians with no hint of New York in their speech, such as Hillary Clinton and Jeb Bush, would likely love to have “telling it like it is” as part of their brand. Only Chris Christie seems to even come close. See a pattern? But how could a New York accent actually play a positive role in politics? Well, we can start with the observation — made by the Georgetown linguist Deborah Tannen — that New Yorkers tend to have a different conversational style than other Americans. New Yorkers usually favor being more direct. We speak over one another, particularly to show our engagement with what our interlocutor is saying. We like to tell long stories. And we don’t mind arguing as long as it is not too personal. ATLANTA — The United States and 11 other Pacific Rim nations on Monday agreed to the largest regional trade accord in history, a potentially precedent-setting model for global commerce and worker standards that would tie together 40 percent of the world’s economy, from Canada and Chile to Japan and Australia. The Trans-Pacific Partnership still faces months of debate in Congress and will inject a new flash point into both parties’ presidential contests. But the accord — a product of nearly eight years of negotiations, including five days of round-the-clock sessions here — is a potentially legacy-making achievement for President Obama, and the capstone for his foreign policy “pivot” toward closer relations with fast-growing eastern Asia, after years of American preoccupation with the Middle East and North Africa. "This climate can’t be understood apart from the aftershock of President Obama’s winning re-election. Republicans could rationalize his victory in 2008. Mr. Obama was something of a blank slate, he presented himself as a nonideological, unifying figure, and the financial crisis, which heightened in the months before the election, virtually ensured his triumph. That year, the stars aligned in just the right way for Democrats. But by 2012, President Obama was viewed by Republicans as a complete failure whose repudiation was inevitable. The fact that he easily won re-election, with 332 electoral votes to Mitt Romney’s 206, was a huge psychological blow to Republicans, much like the one Democrats experienced in 1984, when Ronald Reagan — despised by many liberals — won re-election in a landslide." The problem is not the Second Amendment. The original intent of the Amendment was spelled out clearly by the congress which wrote it six months after it's ratification in the Militia Act of 1792, It was for the States to form a citizen militia which had specific enacting legislation in the 1792 Act. At the time we did not have a national army. The act mandated all white male citizens between the ages of 18 and 45 to have a rifle, ammunition and a knapsack and to be enrolled in the State Militia. The drill schedule is in the act. I. Be it enacted by the Senate and House of Representatives of the United States of America, in Congress assembled, That each and every free able-bodied white male citizen of the respective States, resident therein, who is or shall be of age of eighteen years, and under the age of forty-five years (except as is herein after excepted) shall severally and respectively be enrolled in the militia, by the Captain or Commanding Officer of the company, within whose bounds such citizen shall reside, and that within twelve months after the passing of this Act. And it shall at all time hereafter be the duty of every such Captain or Commanding Officer of a company, to enroll every such citizen as aforesaid, and also those who shall, from time to time, arrive at the age of 18 years, or being at the age of 18 years, and under the age of 45 years (except as before excepted) shall come to reside within his bounds; and shall without delay notify such citizen of the said enrollment, by the proper non-commissioned Officer of the company, by whom such notice may be proved. That every citizen, so enrolled and notified, shall, within six months thereafter, provide himself with a good musket or firelock, a sufficient bayonet and belt, two spare flints, and a knapsack, a pouch, with a box therein, to contain not less than twenty four cartridges, suited to the bore of his musket or firelock, each cartridge to contain a proper quantity of powder and ball; or with a good rifle, knapsack, shot-pouch, and powder-horn, twenty balls suited to the bore of his rifle, and a quarter of a pound of powder; and shall appear so armed, accoutred and provided, when called out to exercise or into service, except, that when called out on company days to exercise only, he may appear without a knapsack. That the commissioned Officers shall severally be armed with a sword or hanger, and espontoon; and that from and after five years from the passing of this Act, all muskets from arming the militia as is herein required, shall be of bores sufficient for balls of the eighteenth part of a pound; and every citizen so enrolled, and providing himself with the arms, ammunition and accoutrements, required as aforesaid, shall hold the same exempted from all suits, distresses, executions or sales, for debt or for the payment of taxes. You may read the rest by clicking on the link above. "The Taliban has since charged that Afghan intelligence purposely gave the U.S. the hospital's coordinates. Even the possibility that such an accusation is true -- and the duration of the sustained attack suggests that something unusual happened -- points toward the reason that Afghanistan is headed back toward Taliban control: The government is thoroughly corrupt, and the U.S. has been unwilling to take measures to address the situation. While a handful of civilian and military leaders identified corruption as an existential threat to the country, the problem remains unsolved. " "From the start, Google's Pixel line has been about building products with the future in mind -- devices with hardware that the accompanying software may not yet seem to justify. The Pixel program's goal has always been to "push the experience forward" and encourage the entire ecosystem to move toward "a whole new generation" of devices, as Google execs once explained it. 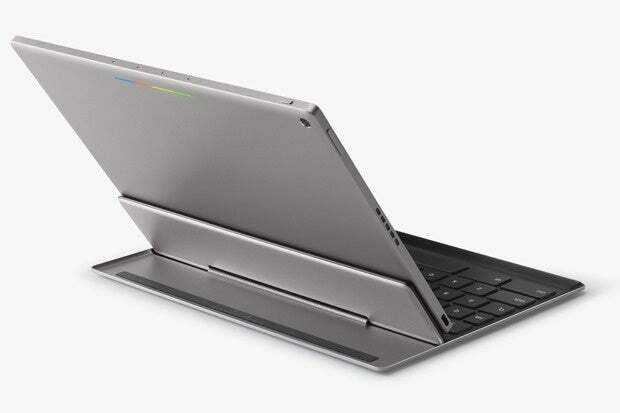 Think of the original Chromebook Pixel's processing power and touchscreen, for instance. At the time of that device's launch, they seemed to many like over-the-top and even unnecessary elements. Today, Chrome OS is capable of doing far more than it did back then -- running packaged apps and even a (small but steadily growing) number of touch-centric Android apps. Increasingly, affordable Chromebooks are now coming with the kind of power and capabilities once limited to the pricey Pixel. The Pixel introduced the hardware, and then the software -- and little by little, the rest of the ecosystem -- started to catch up. So back to the new Pixel C. Why would Google create what's effectively an Android laptop when the OS itself isn't fully ready for that?" Jeb Bush shrugs off Oregon shooting: "Stuff happens" Dumb, dumb and dumber. Recommended read from Salon.com: The Donald is a fraud: The unseemly truth about his "American success story"
"ere was the Trump Taj Mahal (with $1 billion in debt) in Atlantic City in 1991 and the Trump Plaza Hotel in Atlantic City in 1992 (with $550 million in debt). Trump Hotels and Casino Resorts, the company created from the post-bankruptcy ashes of the Taj Mahal, the Trump Plaza, and also Trump Marina in Atlantic City filed for Chapter 11 bankruptcy protection (with $1.8 billion of debt) in 2004. Bankruptcy number four, Trump Entertainment Resorts (the post-bankruptcy company created to take over the remains of Trump Hotels and Casino Resorts) filed for Chapter 11 bankruptcy protection (with $1.74 billion of debt) in February 2009. For the second day in a row, President Obama spoke forcefully about the scourge of gun violence in America. “This is happening every single day in forgotten neighborhoods around the country. Every single day, kids are just running for their lives just trying to get to school,” Obama said at a White House press conference that followed an event announcing the departure of Education Secretary Arne Duncan. On Thursday, America experienced yet another mass shooting when a heavily armed gunman killed nine people and injured several others at a community college in southwest Oregon. The gunman – identified by authorities as 26-year-old Christopher Harper Mercer – apparently left a hate-filled note at the crime scene, according to law enforcement officials. Harper Mercer owned a total of 13 guns, all purchased legally, according to authorities. Six of the weapons were recovered at the scene of the shooting. Asked Friday what he would do differently to address gun violence, Obama said he has directed his staff to identify ways to enforce existing laws to keep guns out of the hands of criminals. Obama once again called on the American people to pressure Congress to pass gun control legislation. "In jest, Ben Carson tells the whole truth about police shootings, then quickly backs off of it."